Ralph Lauren might be best known for the sportswear and the pony, but it also does a fine selection of basics, including this fine custom-fit French cuff Regent dress shirt. 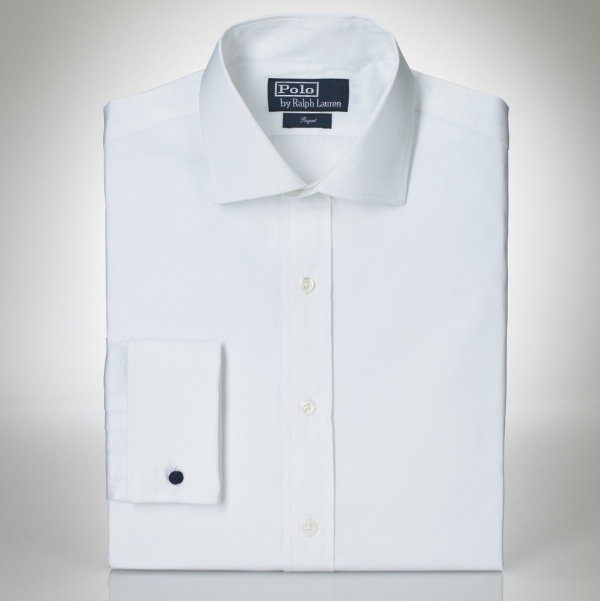 Made using an ultra rich two ply cotton, the shirt features mother of pearl buttons, split yoke at the back, and classic looking spread collar. A sharp shirt that looks great under either a suit or sportcoat, you can find it online now. This entry was posted in Dress Shirts, Tops and tagged Ralph Lauren. Bookmark the permalink.